In this tab the user can enter data into user defined fields that can be created for data not stored in Spire by default. 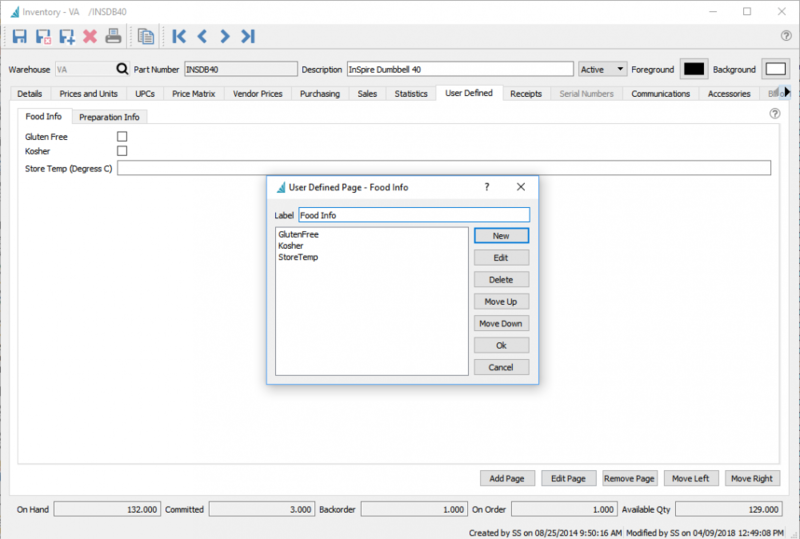 If they have the user setting General/Edit UDF Structure checked, they can also edit, add and delete different types of fields to the UDF structure. See User Defined Fields for more details.